So what shorts did other people like the most? I rather liked Hill Climb Girl. The others were mostly, I felt, forgettable or not my thing. Dragon Dentist is the one getting a feature length production? That's kinda surprising. To celebrate the announcement, NHK will air Evangelion IN HD on or starting (I'm not sure which) September 16. I didn't think they'd broadcast it again so soon. The LINElive run just ended a week ago. But hey, more Eva is more Eva! Well this is certainly interesting. For one this possibly explains what Tsurumaki has been doing this whole time. Another interesting part is that Anno is the Audio Recording director. Maybe he just likes working with Hayashibara and Yamadera so much? Also note: "One or more", so there's potential for more Khara on TV. Animator Expo working on a Patlabor Reboot Extra! I thought they were finished with new animation work for the short film series, specifically. I guess extending The Dragon Dentist brought interesting back into the short film production? So if SHIN GODZILLA is Anno's "recharge my batteries before diving back into Eva" feature film I guess this makes DRAGON DENTIST the Tsurumaki equivalent. Only that he'll additionally recharges for FLCL2&3. If I'm reading this correctly, there's a Dragon Dentist PV coming out on the 16th? Looks great. I can't wait to see it! 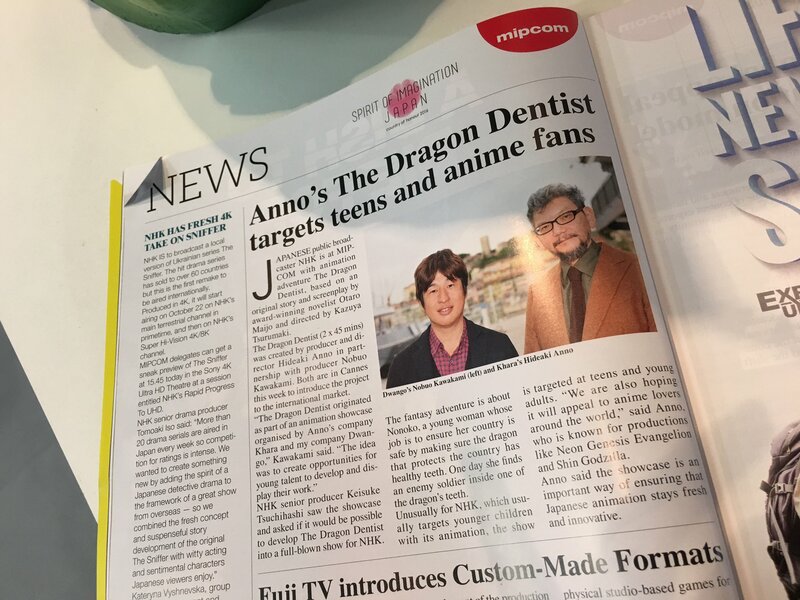 Dragon dentist is getting a movie? That should be pretty good. Now if only they would do that for carnage too. The second animation book, Robot on the Road has been released. 10/10 Will keep buying these. ^How many of the shorts are they going to make the art books for? I thought that only "20 minutes from..." & "Cassette Girl" were going to get them. "20min Walk From Nishi-Ogikubo Station, 2 Bedrooms, Living Room, Dining Room, Kitchen, 2mos Deposit, No Pets Allowed"
Hibiki Yoshizaki x Shuichi Iseki “ME! ME! ME!" Kazuya Tsurumaki x Sushio “I can Friday by day!" Studio Khara Digital Department x Shigeto Koyama “Cassette Girl"
The episode is 'distributed' until February though? or is that just my location? I expect that's the normal Animator Expo "We put these short features up for a few weeks only" behaviour.